"I was blessed to meet Petra. She has given me more hope and medical results then any other doctor. I trust her completely." "Petra is incredible. She is a wealth of knowledge and experience. I highly recommend her." Uses much finer needles for more superficial and gentle stimulation. The patient experiences virtually no pain during treatment. Treatments involve the whole body rather than just the affected area. Quicker and long lasting results in one's health. Full supplemental and herbal pharmacy to treat 1000's of ailments. Each patient is treated in a peaceful, relaxed setting where they are treated for their unique ailments. 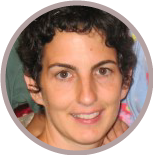 In addition, Petra has 22+ years of acupuncture, herbal and nutritional counseling, massage therapy and reflexology experience. 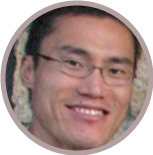 David is a licensed Physical Therapist, Acupuncturist and Strength & Conditioning Specialist. His passion is in the treatment of pain, musculoskeletal problems and postural imbalances by utilizing a Postural Restoration approach, orthopedic manual therapy techniques, movement retraining and Neuropuncture (a neuroscience-based acupuncture treatment using electrical stimulation). David graduated from the University of Connecticut with a BS in Physical Therapy in 1997, then completed his Acupuncture training through the University of Nanjing in 2001. He is certified in the McKenzie Method of Mechanical Diagnosis and Therapy for Spinal Disorders, is a Certified Strength and Conditioning Specialist, is an advanced trained Primal Reflex Release Technique practitioner and is one of the first 35 Postural Restoration Certified (PRC) practitioners through the Postural Restoration Institute in Nebraska. David is currently working to get certified in Neuropuncture and actively continues to broaden his scope of knowledge in pain management, movement sciences, performance therapy, health, wellness and fitness. He enjoys spending time with his wife, Petra Foo, and their 5 children. In his limited spare time, he enjoys lifting weights, using kettlebells, playing sports and longboarding.